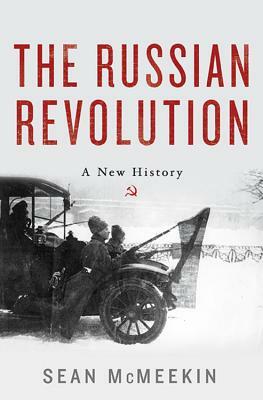 In The Russian Revolution, acclaimed historian Sean McMeekin traces the events which ended Romanov rule, ushered the Bolsheviks into power, and introduced Communism to the world. Between 1917 and 1922, Russia underwent a complete and irreversible transformation. Taking advantage of the collapse of the Tsarist regime in the middle of World War I, the Bolsheviks staged a hostile takeover of the Russian Imperial Army, promoting mutinies and mass desertions of men in order to fulfill Lenin's program of turning the "imperialist war" into civil war. By the time the Bolsheviks had snuffed out the last resistance five years later, over 20 million people had died, and the Russian economy had collapsed so completely that Communism had to be temporarily abandoned. Still, Bolshevik rule was secure, owing to the new regime's monopoly on force, enabled by illicit arms deals signed with capitalist neighbors such as Germany and Sweden who sought to benefit-politically and economically-from the revolutionary chaos in Russia. Sean McMeekin is a professor of history at Bard College. The award-winning author of several books, McMeekin lives in Red Hook, New York.